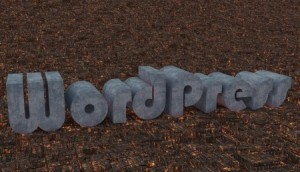 “Proudly powered by WordPress” is a slogan that’s found at the bottom of all WordPress websites. But if you run an online business through WordPress and you want your site to appear as though it’s completely your own and completely unique, you may want to get rid of this slogan. Also, because the slogan doubles as a link to the WordPress page, the last thing that you’d want is for your customers to click on it and navigate away from your site and get distracted. Thankfully, removing this slogan is easier than you think. Just follow the instructions below. The first step to take is to access your WordPress Dashboard. From there, click on “Appearance” and then click on “Editor.” Once you have reached the Editor, you should see a list of links running down the right-hand side of your page. Search for “Footer.php,” as that’s the next link that you need to click on. Once you access the editor for the footer, you may be confused by how it looks and it may be difficult to understand, but scroll down about halfway and you should see “Proudly powered by %s” and you should be able to click on it with your cursor in order to select it and delete it. There will be an apostrophe before and after the phrase, but don’t delete them. Instead, just delete the text in between the two apostrophes. From this point, you can simply edit the footer by typing in whatever phrase you’d like between the two apostrophes. You can credit your website designer, for example, by writing something like “Website Designed by Joe Smith.” At this point, it’s entirely up to you what you want your footer to say. If you want to go ahead and add a copyright onto your footnote to protect the information contained within your site, just add a period and a space after your slogan. You can then either type out the word “copyright” or use the copyright symbol. To insert the symbol, type in the html code &copy; followed by the year and your business name. Make sure you put a space between the semicolon and the first word in your business name. Even though you’ve successfully edited the actual phrasing of your footnote, the hyperlink to the official WordPress site will still exist unless you remove that as well. To find the hyperlink information, look just one line above the one you just edited. You should see that it begins with <a href, followed by more html that includes the hyperlink information. Highlight from that point all the way through until you see “>. Then just delete it. To save your changes, click the blue button at the bottom of the screen that reads “Update File” and then visit your site to check that the footnote looks perfect. It’s that simple! Why Choose WordPress For Your Business Website? I don’t think that WordPress is the right platform for creating gallery websites. A website builder would be much better. It’s true that you can use a page builder for wp, but that’s not very powerful. You are practically creating layouts with columns, that’s not very flexible.